Through breath practice, physical practice, vocal invocation, movement meditation, sacred dance, cultivation of feminine anatomical awareness and whirling practice, we take a collective journey to open the channels of ecstasy in the body. Locating the entranceways for strong physical and psychological sensation of ecstasy to penetrate us from a uniquely feminine perspective, we explore various manifestations of ecstasy in the body. Through these portals, we cultivate profound and subtle sensory awareness, entering the inner place where there is no time, and no destination. We explore our spiritual hunger, and the original source of our longing to love and be loved. We open the door for an endless passionate love affair with the divine. We transcend culture and time, on a journey of spiritual ecstasy, dance, heart-opening, sisterhood and love. Listening with ears of devotion, we nourish the soul. We open the channels of ecstasy inside. Opening the heart, we remember divine love. This experience is open to both men and women. 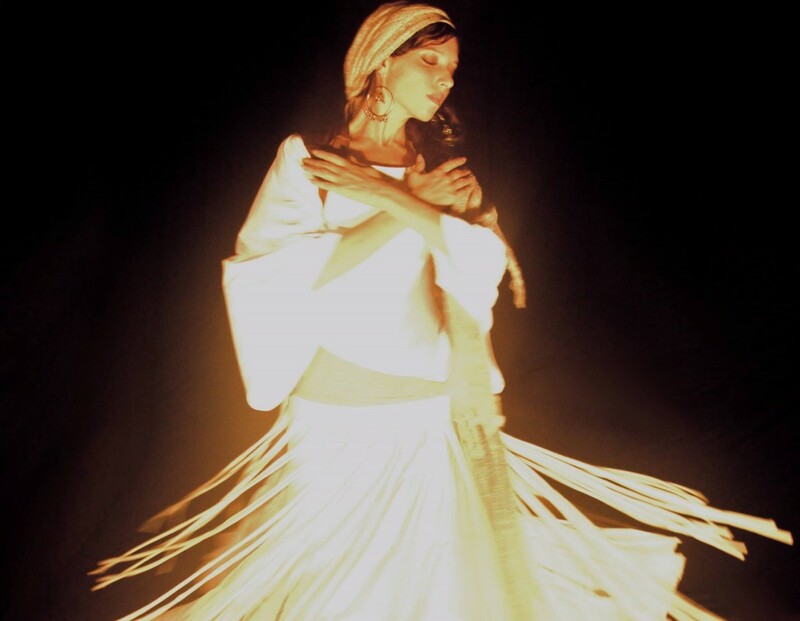 specializes in sacred dance ritual inspired across time and worlds. She has danced across many worlds and believes in the power of dance to heal, to uplift the human race and to promote peace on earth. She has lived in India, Spain, Israel, USA, Mexico and Brazil absorbing, teaching and performing as a soloist and with a diverse range of talented musicians. She currently teaches from her home studio in Zichron Ya’akov as well as offering workshops throughout Israel. Her biggest current vision is to complete her project “Invocation”, a dance performance and prayer to bring voice to women across the globe (please inquire if interested!). Zola’s unique holistic dance training method is sought out world-wide – she often flies internationally to perform, give seminars and offer workshops.